A Cookbook Is The Latest Weapon In Fight Against Lionfish Invasion : Shots - Health News A good way to beat back lionfish, voracious predators that are causing trouble in American waters, is to eat them. Now there's a cookbook to help. The spiny, venomous lionfish can kill three-quarters of a reef's fish population in just five weeks, according to one study. Those beautiful lionfish, native to Asian waters, are wreaking havoc in the Caribbean and off the coasts of a bunch of Southeastern states. The species got a finhold over here about 20 years ago. Hurricane damage to a Florida aquarium may have let them loose, though the National Oceanic and Atmospheric Administration says it's not exactly clear how the lionfish got established in our territory. What is clear is the fish are gobbling up everything in sight -- especially juvenile fish and crustaceans -- and reproducing like mad. So a bunch of people concerned about the health of ecosystems around coral reefs are turning to a superpredator to get the lionfish under control. 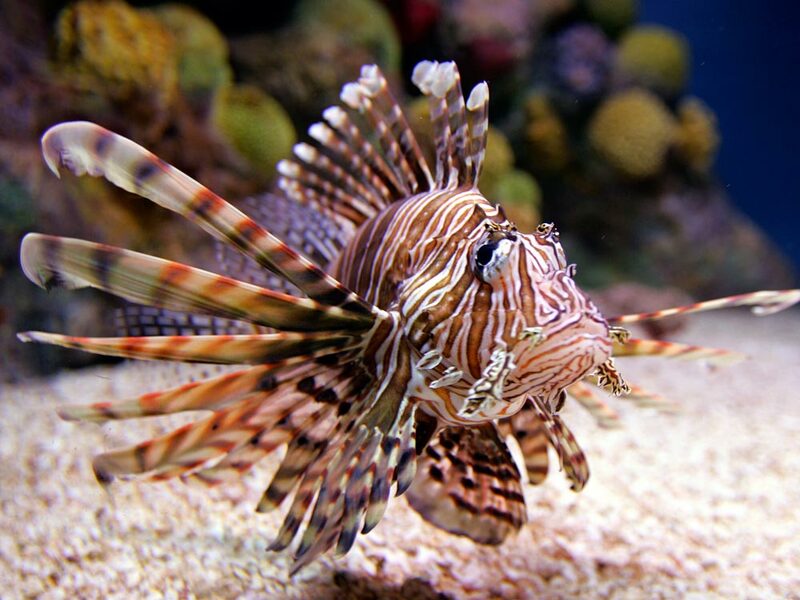 The idea is that you should make lionfish a part of healthy diet. And now there's a cookbook to help. 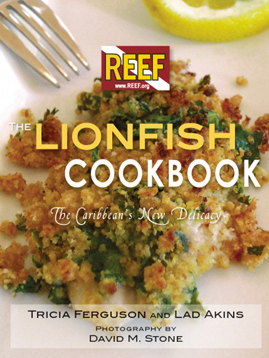 The Reef Environmental Education Foundation has just put out The Lionfish Cookbook, with 45 mouthwatering recipes. "The flesh is actually very light and delicate," REEF's Lad Adkins, a coauthor of the book, told the Voice of America in July. "It's not strong flavored. So you can season it many different ways. It's a great eating fish." NOAA has already thrown its weight behind a campaign to popularize lionfish as a taste treat. "The intent is not to develop a fishery for the lionfish but to consume it out of existence in Caribbean and American waters," a NOAA statement explains. The folks at NOAA even have put together step-by-step instructions for filleting lionfish, a task that looks intimidating because of the fish's venomous spines. But once you dispense with those, the pros say it's not so hard to get the fillets ready for the skillet.